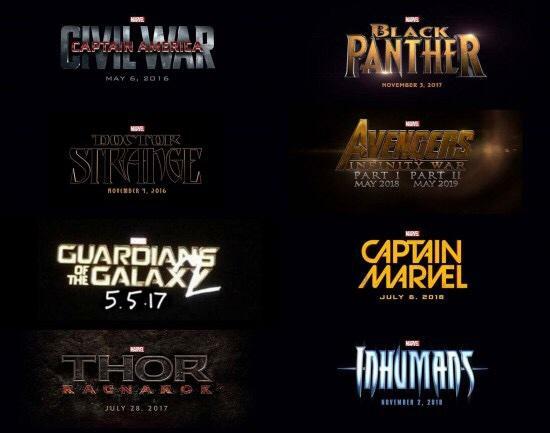 Marvel has officially announced plans for Phase Three of the MCU so we need one thread to tie it all together, right? Right. Last week’s Warner Bros./DC announcements proved to the world that they were worthy opponents to their one major rival. Now, however, their competitor is striking back! 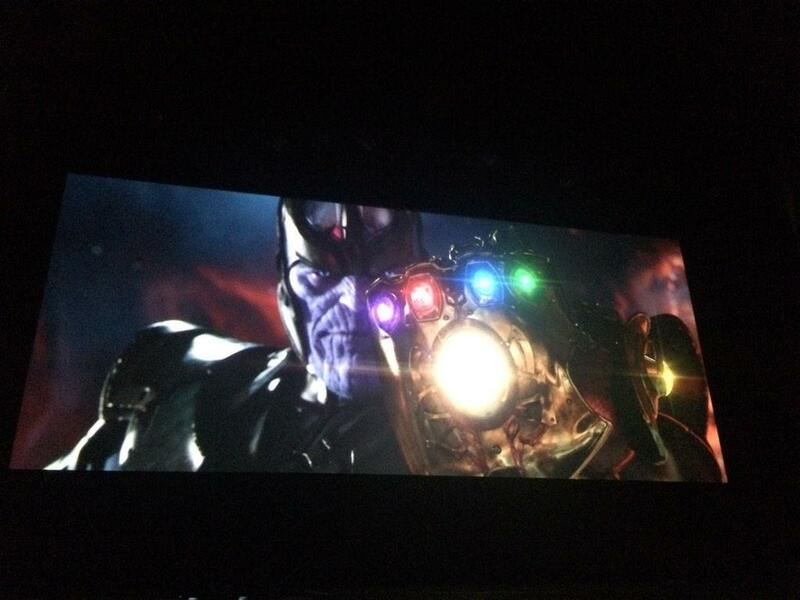 At today’s Marvel event, Kevin Feige took the stage to reveal the studio’s phase three line-up. Amongst the glut of new titles and dates revealed, new logos were showcased as well as concept art for Black Panther, all of which you can check out below. Here are the list of preliminary dates and titles, with applicable notes on each. Be sure to keep checking back for further details and let us know in the comments what you think of Marvel’s huge announcements today. Captain America Serpent Society was a joke title before Civil War was officially announced. Ps Part 2 of Avengers Infinity War is after Inhumans which concludes Phase Three in May 2019. I would have preferred the Serpent Society to Civil War. Much of CW was simply awful. I think the premise is something they could work with, though. Edit: I'd pay to see a Serpent Society movie, though. ScreenRant: That was a really good misdirect with the Captain America title but I think for all of us just to clarify, are there any plans for Serpent Society? Kevin Feige: There are always plans but they’re mainly jokes. I want to say one more thing about Serpent Society. Civil War is first up, but we didn’t want to blow our wad on the presentation with Civil War right up front. Mike Schula had the idea to put Serpent Societyup there and I thought it was awesome, hilarious and then part of me thought, “You know people are going to love Serpent Society, they’re going to think it’s really cool,” but we were betting they wouldn’t think it’s as cool as Civil War, but now it’s on the radar. Color me among them who would have preferred seeing the Serpent Society over a movie version of one of Marvel's absolute worst "events'. Civil War was phenomenal!!! Can't wait to see it on the big screen and become more real to most people than lame snake stuff! I'm totally kidding. Never read Civil War; have no idea what the fuss was about. How much money is about to be sunk into the Marvel lineup? What is this, like twelve films at $100M each? I also would have preferred Serpent Society to Civil War. Post-Infinity War, if there's a Phase 4 through 6, I'd like to see a buildup to a Masters of Evil/Acts of Vengeance storyline. Besides Kang and Korvac, the MoE are the biggest Avengers nemesis not yet featured. They should announce a Squadron Supreme picture just so they can frame the cease and desist letter from Warner. I would have preferred a root canal to Civil War, at least as presented in the comics. I believe they should do the MightyGodKing version and remain as faithful to the source material as possible. One major problem with this storyline here is that you don't have a Spiderman, where revealing his identity and then wishing he hadn't, was a major crux of the whole thing. Boy, they must be hoping really hard the superhero bubble doesn't burst for the rest of the decade. Either that or they're convinced it can't burst and the current trends are forever. Or, they're convinced they can keep putting out quality product which will sell regardless of trends.